It’s a fact: mosquitoes and ticks carry diseases and ruin backyard events throughout Connecticut. If you’re tired of worrying about the constant presence of these pests around your home, you need Envirocare Pest Control. Our backyard mosquito and tick control services can provide up to 85% control of both of these troublesome pests. In addition to being annoying, these pests can be dangerous. Mosquitoes can transmit West Nile Virus and Eastern equine encephalitis; ticks can transmit Lyme disease. Don’t wait until someone in your family gets sick! Get your yard treated to drastically cut down on ticks and mosquitoes. What happens during tick and mosquito treatment? For both services, your yard is treated using state-of-the-art mist blowers that will reach mosquitoes and ticks wherever they live and breed, even in leaf litter or bushes. (Bonus: our machines also use less water and are more efficient than the equipment used by our competitors!) The typical treatment takes 20-35 minutes (larger yards will require more time). We treat 3-5′ of the grass perimeter (where ticks may be located) as well as 5-10′ into the woods. On your initial service, we can treat the entire lawn, if needed. To protect the bees, we will not directly treat any flowering bushes. 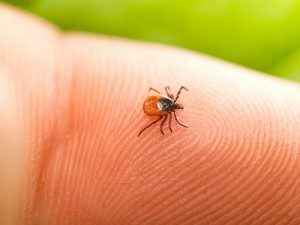 Is tick and mosquito treatment dangerous for my children and pets? Envirocare Pest Control utilizes the most effective products that are safe to use around children and pets. In some cases we can use an all-natural product whose main ingredient is rosemary oil – the residual of this product does not last as long, so it may not be appropriate for all circumstances. Can the treatment still be performed if I have a vegetable garden? Yes, but we will not treat the garden itself. We’ll provide you with red flags and ask that you clearly label that areas where fruit trees, vegetable gardens, and herb gardens are growing. What should my family do during tick and mosquito treatment? You do not need to be home during your tick and mosquito treatment – just be sure all gates to the backyard are unlocked and all pets are inside on the day of your scheduled treatment. If your family is home, children and pets can return to the yard as normal about 30 minutes after the application. Our service people do not treat in the rain. As long as the product has had about 30 minutes to dry, the treatment will be effective. How long will my tick treatment last? All tick control treatments target different stages of the life cycle. Our treatment will last approximately 60 days. How long will my mosquito treatment last? The mosquito life cycle renews itself after roughly 3 weeks. This is especially true near water or after rainy periods. Our mosquito treatment is reapplied every 4 weeks to account for this. How much does your tick and mosquito treatment service cost? Our treatments are always custom-designed for your yard, so costs will vary. However, we are proud that our mosquito and tick services are affordable for everyone. We also offer neighborhood discounts and can bundle your service with an indoor general pest control service to save you money. Unlike many of our competitors, we are truly a full-service pest management company. Is there a warranty for your tick and mosquito treatment? Absolutely! We’re confident in our mosquito and tick programs, so we offer a money-back warranty. If you’re unhappy with the service, we’ll come back free of charge to make another application. If you are still not satisfied, we’ll refund the cost of your last service with no questions asked. 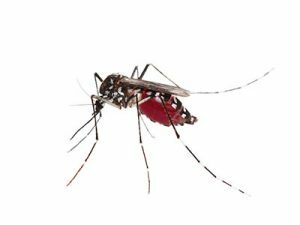 Do you offer one-time mosquito treatments for special events? Yes! Our mosquito control service is great for important events such as weddings, picnics, or graduation parties. Please be sure to book these services well in advance, as our times fill up quickly. Call Envirocare Pest Control now at 1-888-879-6481 for all your tick and mosquito needs, or contact us online for a free quote.